Open the organization and location that you’d like to review. Click on the “Monitoring” section on the left sidebar on this page. The Monitoring page is where all of your reviews and aggregate information is housed. 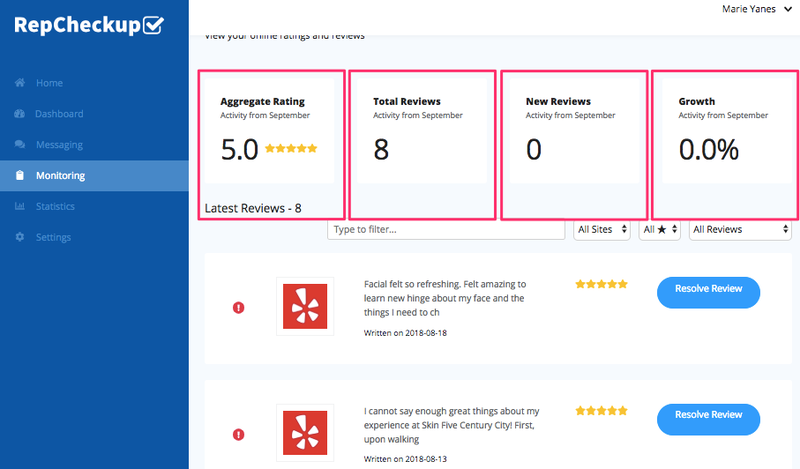 Here, you can filter and sort your reviews by website, star rating, and even resolved vs unresolved reviews. More importantly, you can type in the word you’d like to filter for into the area that says “Type to Filter” in order to narrow down the information you need.